Fitting BMW Style 42 BBS on a 245. I've messed with this a lot the last few weeks. Was trying to just use what I had here, but that didn't work out. We have 20mm adapters all around. All tires used were Federal SS595's. Front is fine, no real big deal. Depending on height, camber and tires they fit no problem. The 235's and 245's do rub because my son's car is pretty low. 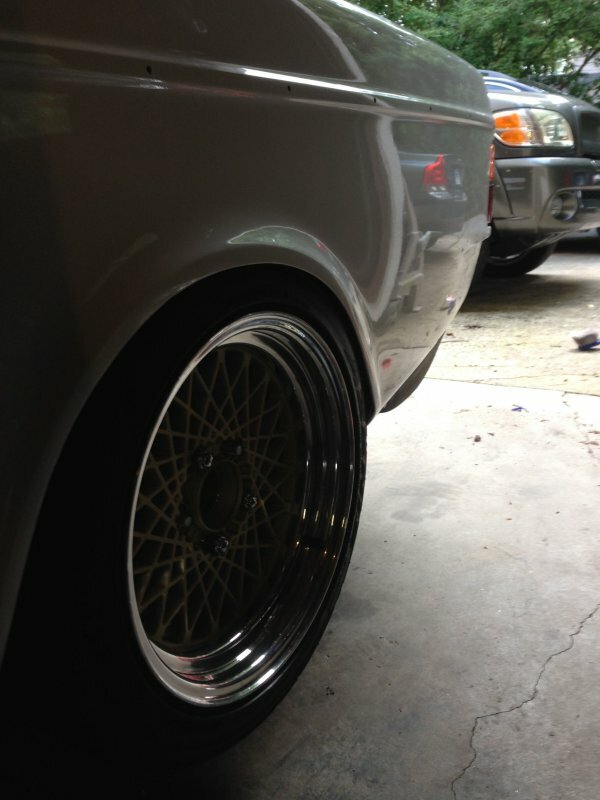 The tire is tucked and right out to the wheel lip with the 235's and 245's. It rubs when turning. Not as low and/or 215-225's and that problem is gone. Rears we started off with 245/40's in the rear. Not a chance in hell. Switched to 235/45's and um, yeah, still not going to happen. Car is sitting on the tire. Switched to 225/45's and it's really close to fitting. Could at least move the car in the driveway, but it was still sitting on the tire slightly. Switched to 215/45's and it now has the slightest margin of clearance, but rubbed badly when driven. So I got out my trusty 5lb sledge and carefully beat the ever loving piss out of the fender lips some more to gain a little more clearance. It is now drivable with slight rub on hard left turns when the axle articulates. Rubs enough to just take the lettering off of the tires about half way up and beyond. I think 15mm adapters would fit and cure this. So it's currently drivable again and sitting temporarily on 225/45 fronts and 215/45 rears. 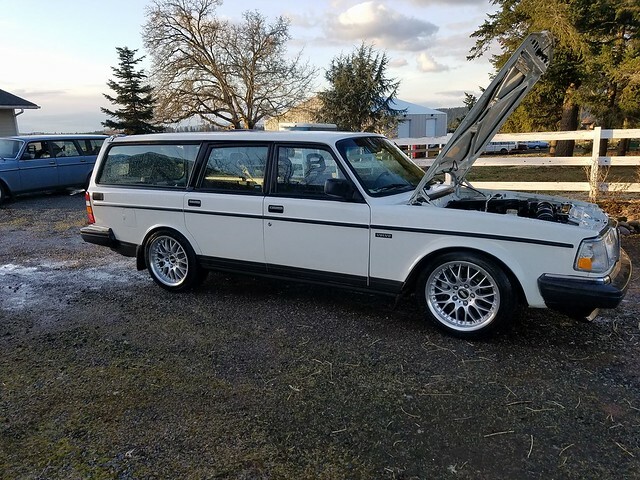 We are going to send axles and rotors out to Dutchman to have them re-drilled so we can bolt wheels directly on and spacer them out perfectly to fit 245/40's in the back. If I was buying all the stuff new, I'd buy 15mm front adapters, have the rear axles/rotors re-drilled and just run 235/40 or 45's on all 4 corners. It was important to me not to ruin or distort the outside of the fender lip at all, so all of this is done with that in mind. This is how much the fenders were rolled previously to fit the 17x9 et15 (wheel is et25 with a 10mm spacer and long studs) with 245/40's on the LM Reps. They are rolled at the spot welds roughly. It takes a lot (or cutting) to roll them more than this. This is how far I had to roll them for the Style 42's with 20mm adapter and 215/45's. It took me a solid 15 minutes of really working the lip over hard with a 5lb sledge just to do this short little section. I had to take a break before I continued on. It was cold out and I didn't use a heat gun, so the paint cracked. On the inside, so that's not too bad. Paint looks good in pictures, but it's all original and far from perfect. It will most likely get painted in a few years. Hopefully this helps others in the future trying to fit Style 42's. I really like those wheels. They look great on that car. I wanted those on my 240 too, but I didn't think it would work out with adapters due to the offset. Would have been easy if they came with a more FWD type of offset. Mine are ebay specials that looked close to the 42, except have bigger offsets, same BMW bolt pattern with adapters. 235/40-17 front and rear. The style 42's have a big pocket in the back side. You can run 15mm adapters and trim down the studs just a little and they will work. 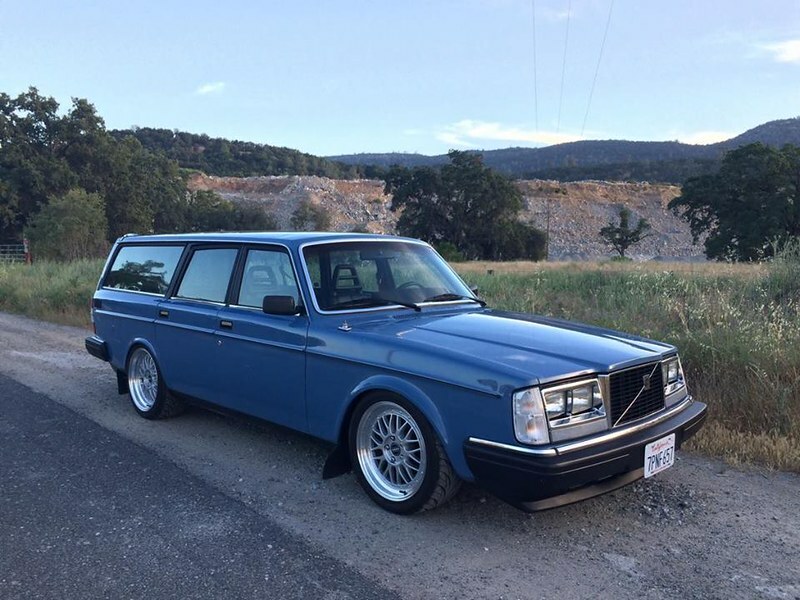 Your car isn't as low as my son's car, so you could probably get the 235's to fit if you aren't scared of rolling the fender lips a little more. Your paint is quite a bit nicer than ours though. Yep, this would help a lot. Slightly shorter trailing arms and adjustable torque rods would center the rear wheel better and give you the extra needed clearance. My tires aren't pushed out quite as close to the rear inner fenders as yours are. I ordered the adapters to make the wheels slightly more inside compared to yours. But still I had considerable rubbing on bumps, which I solved by trimming the sheet metal instead of rolling/pounding. I didn't stop until I could hit the bump stops with zero rubbing. 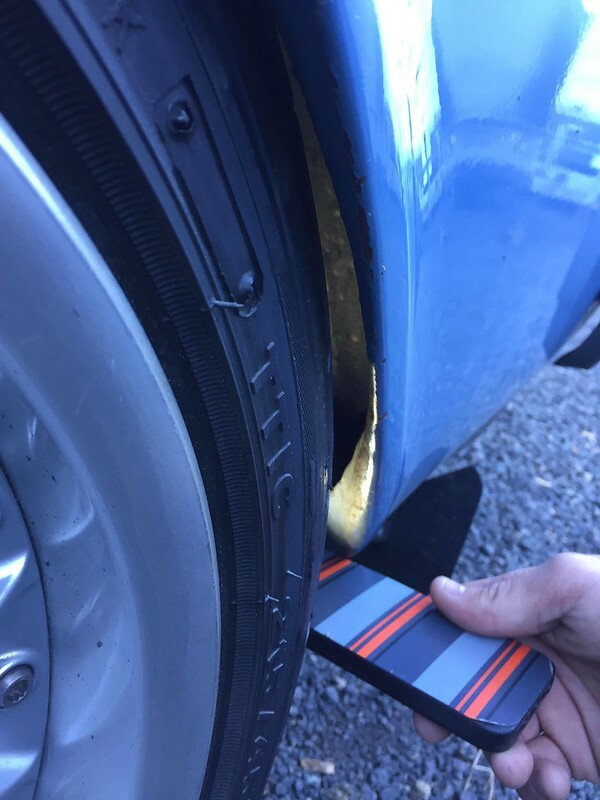 So you didn't cut away at the fender lip at all? I ask because I am using similar sizes in the rear. Just different wheel offsets and spacer/adapter sizes. What worked for me was cutting away about half of the lip then using a sledge to bend back the rest. I have Ronal 18x8's with 235's and 35mm spacers in the rear. I know that is just a measily 1mm, but if the adapters being used here are the ones that I sold you a while back they are 19mm thick. Does it rub when the axle articulates? Going straight up and down isn't our problem. Ours only rub when the axle articulates from going around a corner fast and the car leans or in/out of a driveway type situation. On this car, no, nothing is cut. 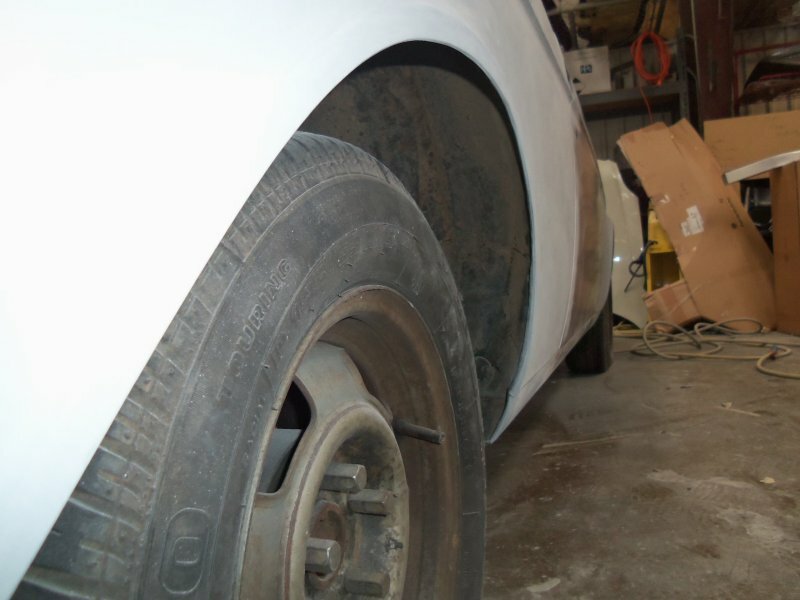 If I know it's going to be this tight of a fit, I would start off with cutting it at the spot welds (about half way leaving the spot welds) and then roll it over, but this car had other wheels fitted prior and didn't need this much clearance so they were rolled a little bit already. 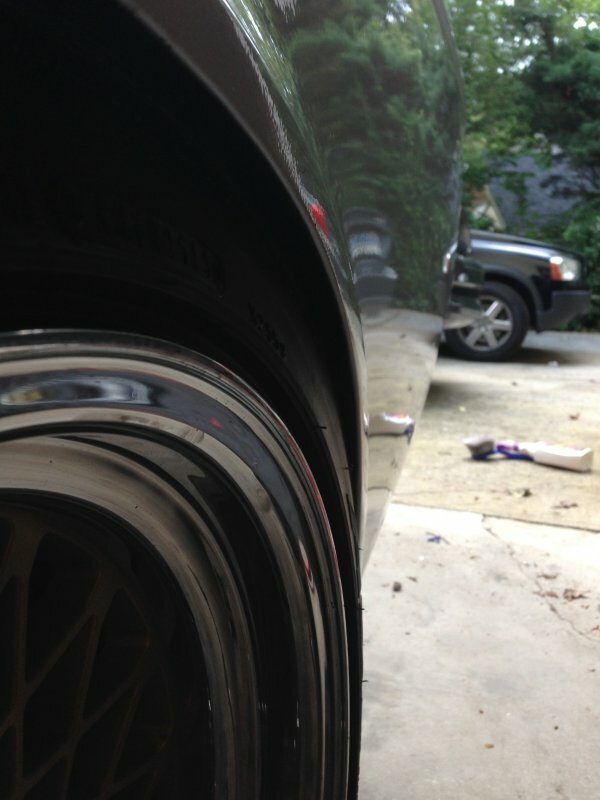 You left out the wheels offset in your information of the 18x8's so spacer size tells us almost nothing. Thanks, I think they are. I'll measure them to make sure and then edit the original post. This is essentially a Group A modification and the same thing we did (Tony did) on his race car to fit 245 race tires (wider than regular tires). I am not a fan of the riveting. I'm sure it works fine and you can't see it, but just something about riveting metal onto my car I can't do. 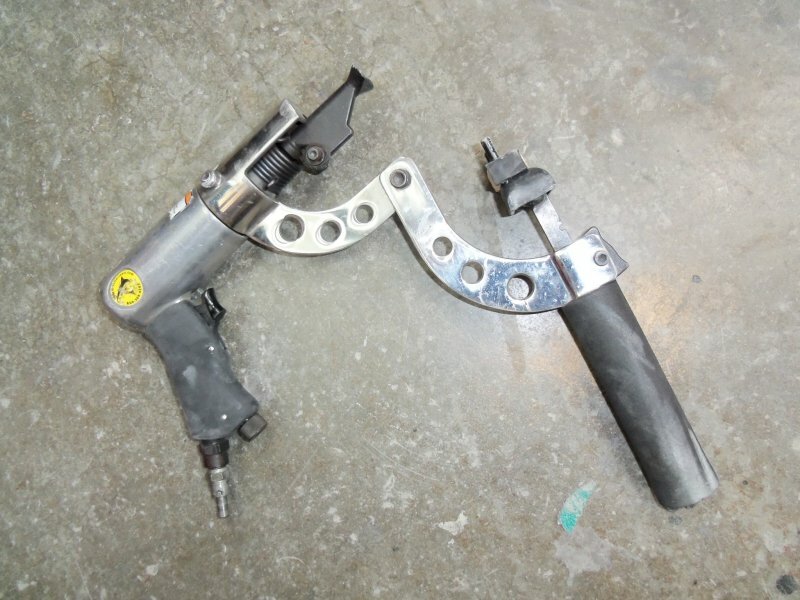 If you are painting you can weld it. I suppose you can carefully weld just the inner portion also. Then I also don't like having a sharp edge where you cut. I'd prefer to leave a little material and roll that over so you don't cut a tire or a finger when washing the car. 18mm rear spacers, and I believe 13mm in front. no rubbing in rear. Rubs front inner fender on full lock. 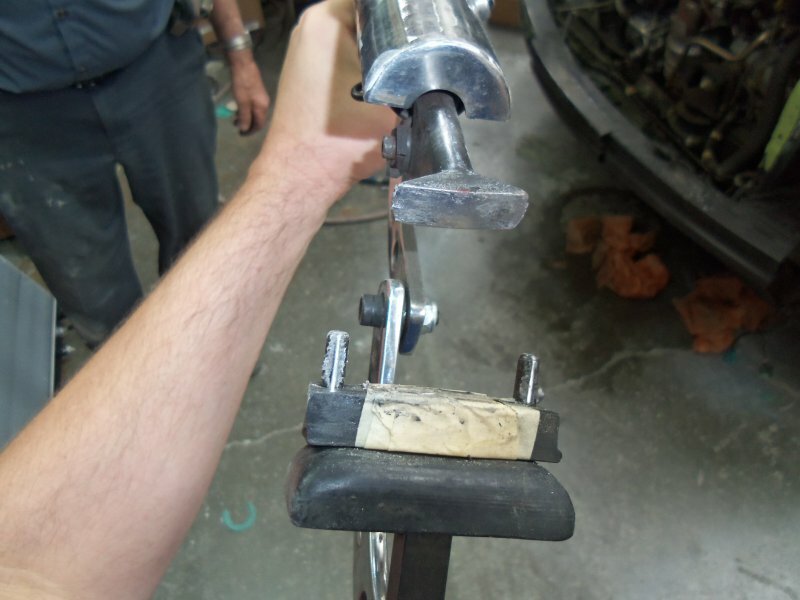 That image shows the 25mm space and washer used for the fender roller. Last edited by TIPSP; 12-27-2017 at 02:08 AM..
25 mm spacers. He cut the entire lip off and panel-bonded the inner and outer sheet metal before painting the car. No clearance problems at all, with coil overs. If it articulates enough, I guess eventually it would probably rub on the inside of the tire. I haven't noticed any such rubbing there since putting the current wheels on and doing the mods. No mod I know can eliminate that if your suspension still articulates. With that in mind, I'm guessing you mean rubbing on the outside of the tire. I have zero rubbing there with full suspension articulation no matter what so far. So you say going straight up and down isn't your problem. I think it will be if you have enough suspension travel. If you have firm enough springs that won't allow the suspension to bottom out, then that's another thing. 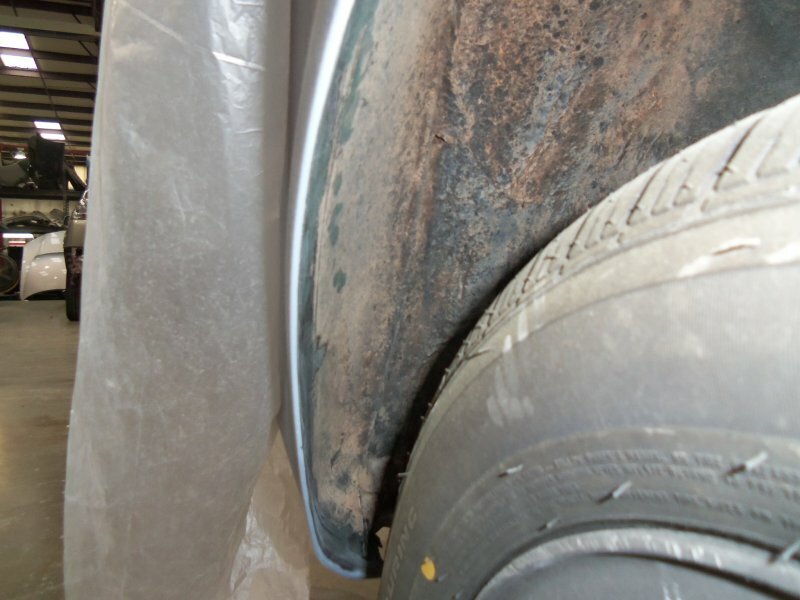 That inner fender curvature will hit your tire if it goes up far enough. I have iPd rear springs currently, which allow lots of movement. To clarify, when I began this mod, my test was a dip down the street. If I hit that dip at 40 mph, my rear suspension would hit the bump stops. When I put the current wheels on with the adapters I was getting a rub on the outsides of both tires on that dip as the tires were contacting that inner curve. When the mod was complete and that inner curve was removed, I could bottom it out with no rubbing. I was just curious about what your methodology. Not trying to poke holes in it. So far, I've seen at least 3 different methods of stuffing wheels under the back of 240's. Anyway, I run 25mm spacers front. 35mm rear. the tires are 235's. 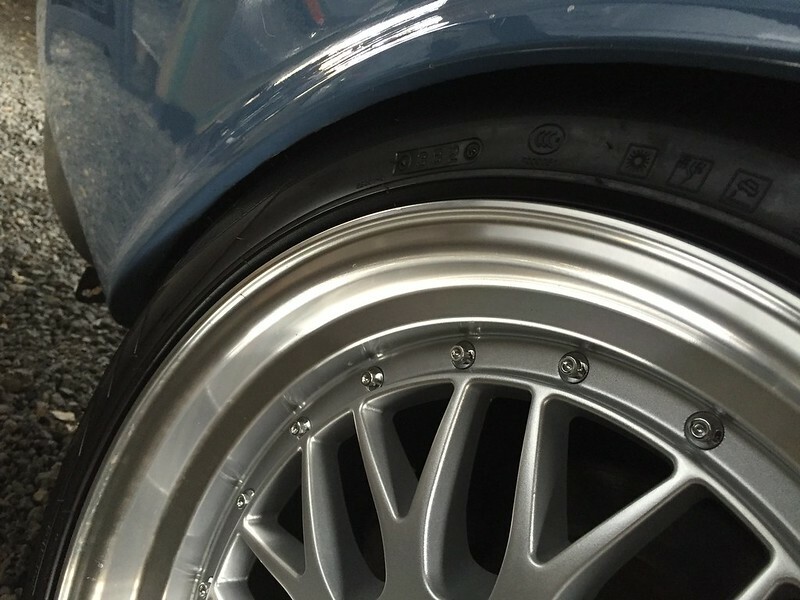 The wheel dimensions are 18 x 8 and 42mm offset. I don't understand your question. Why am I trying to tuck bigger tires inside the fender well? I think the cars look better lower and bigger tires offer more grip. The method of fitment. 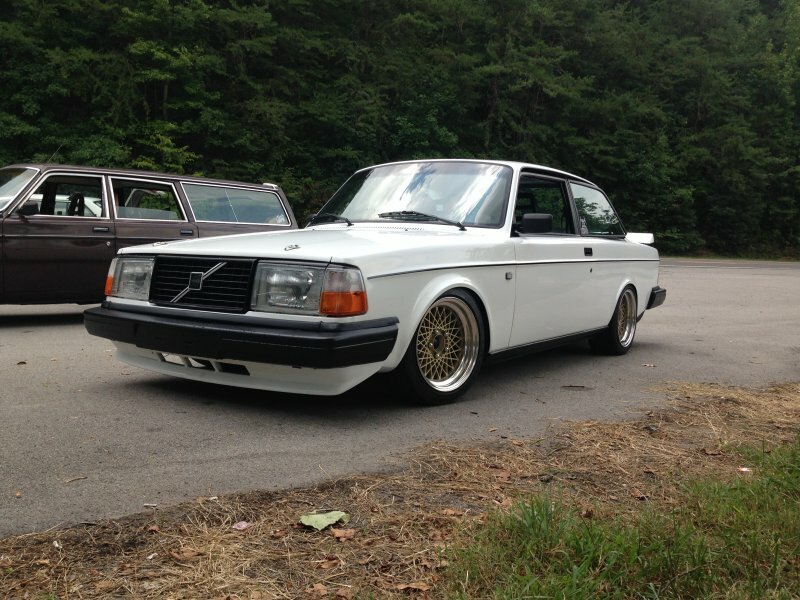 Did you just roll the fenders with a femur from an elephant, or cut some of the lip, or whatever. As an example, the method explained in the images dbarton showed is one I hadn't seen yet. Why am I trying to tuck bigger tires inside the fender well? Pat contacted me about this a little while back. Massive main in the nads. I'm running 215/45 Federal 595s in my junk and 20mm spacers. Asher cut the living hell out of the fender lips. I installed adjustable trailing arms, sledged the outer wells, and made sure everything was perfectly aligned. Drove like this with Quin, Crandall, and about 400 lbs of tools and luggage in the trunk between Portland and Davis with no rubbing at all. Per Tire Rack the PSSs have a 8.9" section width and 8.2" tread width...not worth getting a 245/40 (only .3" more contact patch with .9" more sidewall) or 235/45 (same contact patch, .4" wider sidewall). Moral of the story for me is: Style 42s are kind of a pain to fit and it will take some effort to find a good dimension tire because standard sizes apparently mean nothing. Originally they just need a light roll to clear the 17x9 et15 (et25 wheel, 10mm spacer) with 245/40-17 Federal SS595's and they didn't rub. 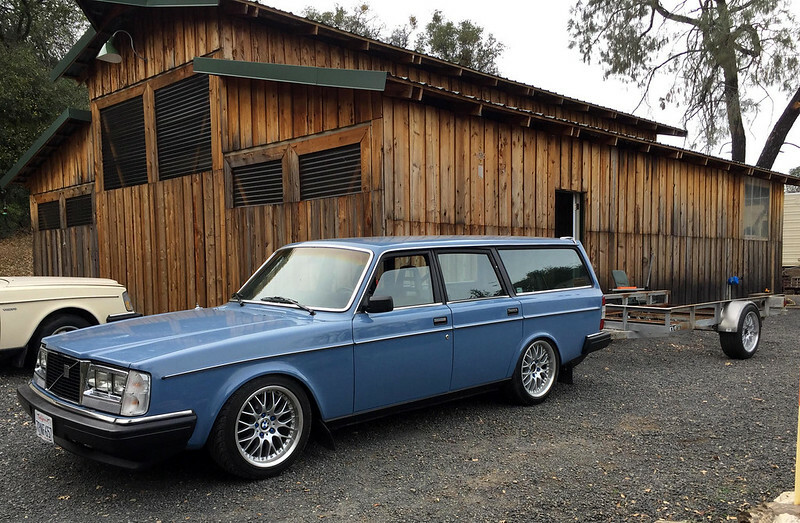 Now we are switching wheels to the Style 42 BMW BBS wheels. They are 17x8 et1 (et20 wheel, 19mm adapter), so the offset because we are running adapters is where all the problems come in. 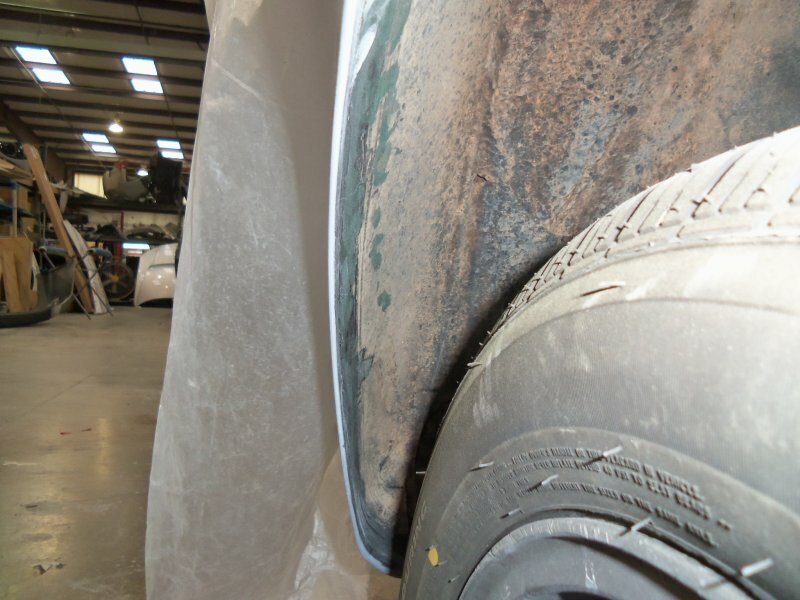 I have rolled the fenders more and the 215/45-17 tires no longer rub. I used a 5lb sledge carefully, but heavily to roll the lip. 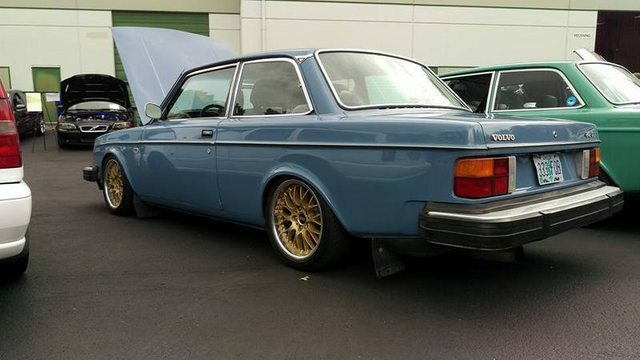 I need to try the 225's in the rear again to see if they still rub. 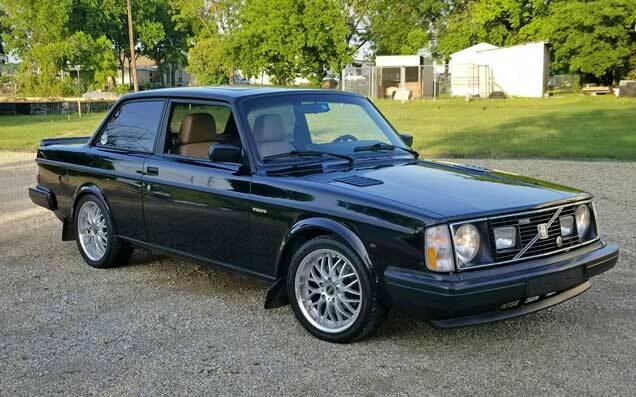 If the 225's fit I'd probably just stop there and call it good enough. What Dave posted is basically how they modified Group A cars back in the day to fit race tires on them. I think I want to raise the rear 1/2-1". It looks too squatted in pics. In person it looks fine. Also worried about when we have trailer loaded with 2 karts and car loaded with all of our gear. Might add a air bag helper system for when we are fully loaded. This is from today where I did some more rolling and worked on the trailer that will eventually match. Car currently has 225/45's on the front, 215/45's on the rear and the trailer has used 235/45's that came with the wheels. Goal at this point is to have 225/45's everywhere. Trailer is lowered 2" and I added wider fenders to cover the 225's. Another data point I reckon. Car is lowered, but certainly not slammed. 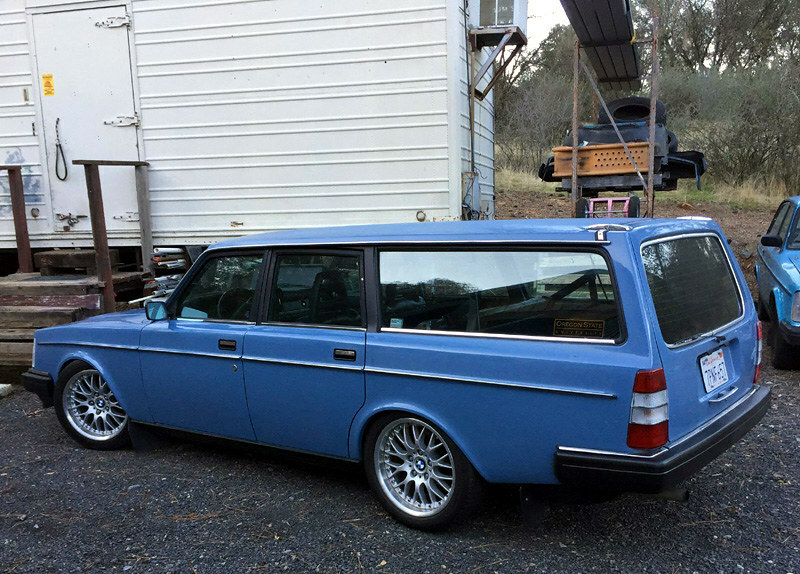 17x8 Voxx wheels for the 5 x 108mm Volvo application, offset +20. 235/45/17 Conti tires. A 5mm spacer on the passenger side and a 10mm spacer on the driver's side centers the rear track behind the front track on mine. Rear fender lips trimmed using Dave's photo as a "clock" guide - from about 1pm to 3pm. I have about a little finger's worth of clearance on both the inside and the outside. I've never had any contact on the inside or outside. 15mm Spacer all round Adjustable pan rod and torque rods are needed. Yes but the way I did it has to be body worked and painted. Last edited by MikeJr. ; 01-03-2018 at 05:58 PM..
Can you come over and teach me to do that, but on the entire car? Thanks in advance.